Cardiff-based legal training provider, Kaplan Altior, is marking the start of 2019 by celebrating 40 years of operations. As a proven longstanding training provider in the legal and professional services sectors, Kaplan Altior works alongside a wide range of firms across Wales and the UK including Top 100 law firms, US and City firms, regional and high street practices through to non-legal corporations. It is now celebrating its success from the past four decades. It’s renowned for helping individuals and firms to grow and develop with a wide range of course offerings including the Professional Skills Course for trainee solicitors, Management and Leadership, Continuing Professional Development, Higher Rights of Audience, CILEx Advocacy skills, Compliance and more, with numerous delegates travelling from abroad to undertake training with the organisation. This year, the forward-thinking training provider will be celebrating its 40th birthday with a range of activity including charity fundraising and the creation of the Kaplan Altior yearbook with input from firms and delegates both past and present, marking a momentous year for the firm. Speaking of the achievement, head of Kaplan Altior, Jody Tranter said: “We’re incredibly proud to be celebrating our 40th birthday. I believe that our success and longevity in the industry is a testament to our people, particularly as we continue to pride ourselves on our expert consultancy and course delivery. However, I also believe that it can be attributed to our flexibility and refusal to rest on our laurels as we continue to adapt to meet industry needs and demands. 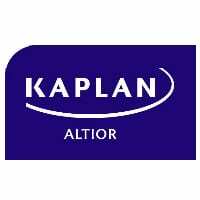 Most recently, Kaplan Altior has launched a variety of new courses including Accredited Certified Fraud Examiner (ACFE) and has worked with the ACCA to bring a Probate and Estate Administration course to accountants, delivering course content entirely through its Live Online system. It will be celebrating its achievements both past and present as part of its 40th birthday activity. Kaplan Altior is a leading legal and professional services training provider. Based in Cardiff with courses delivered across the UK as well as online through its Live Online platform, it supports delegates and firms across all stages of development.